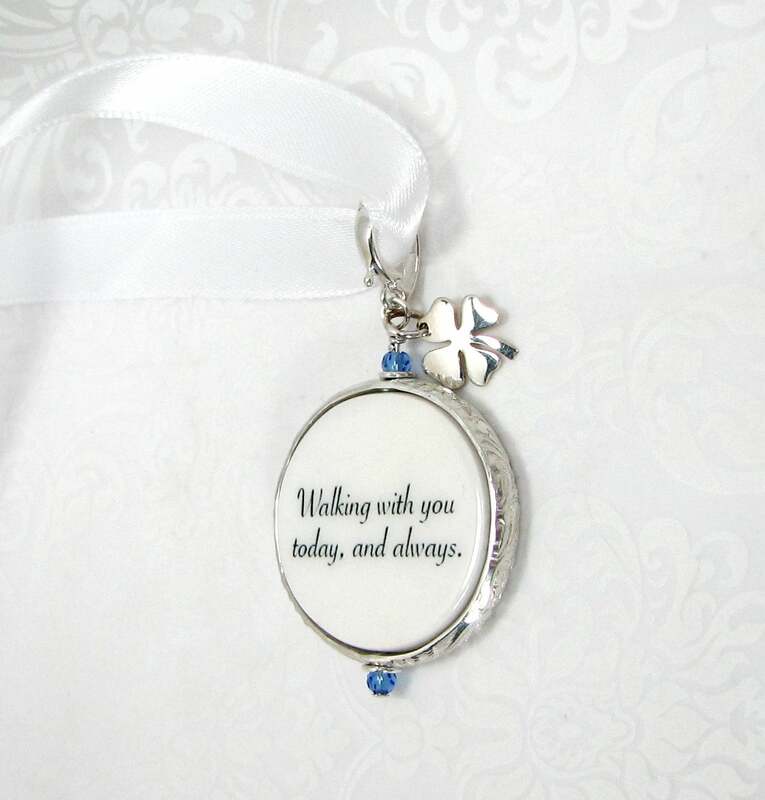 I love this lucky little sterling silver 4 leaf clover charm. 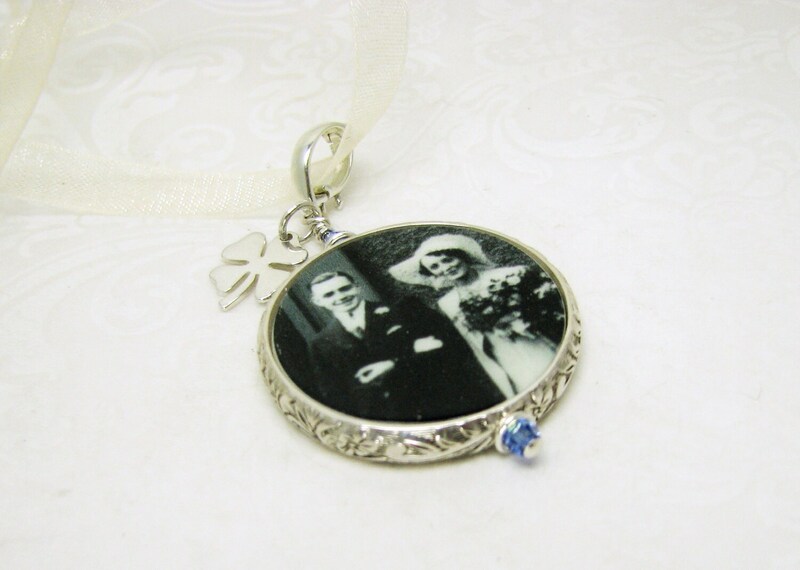 This is a two-sided, round bouquet charm with a photo tile that measures 1" across. 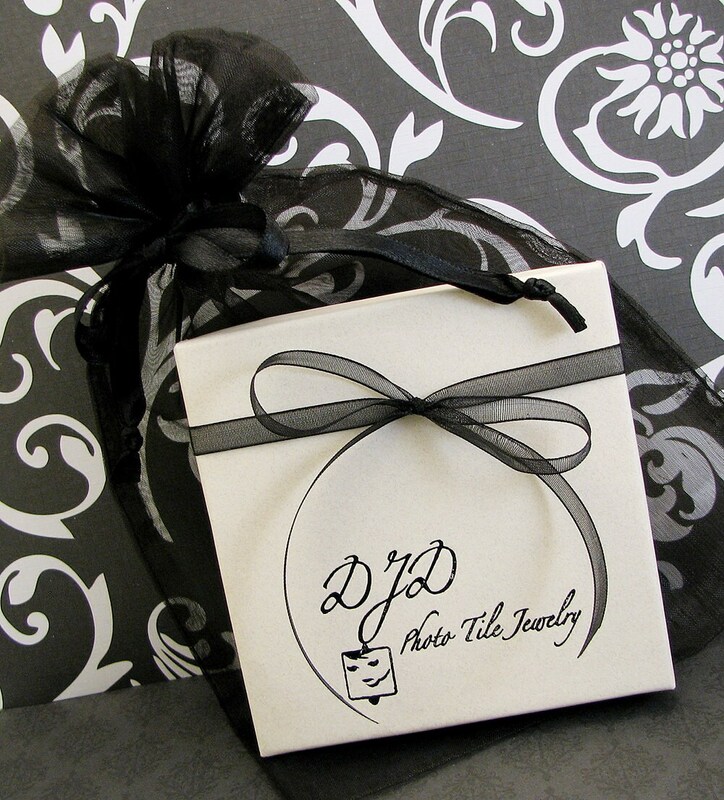 It comes on a long strand of white or ivory organza ribbon; simply include your color preference with your image. 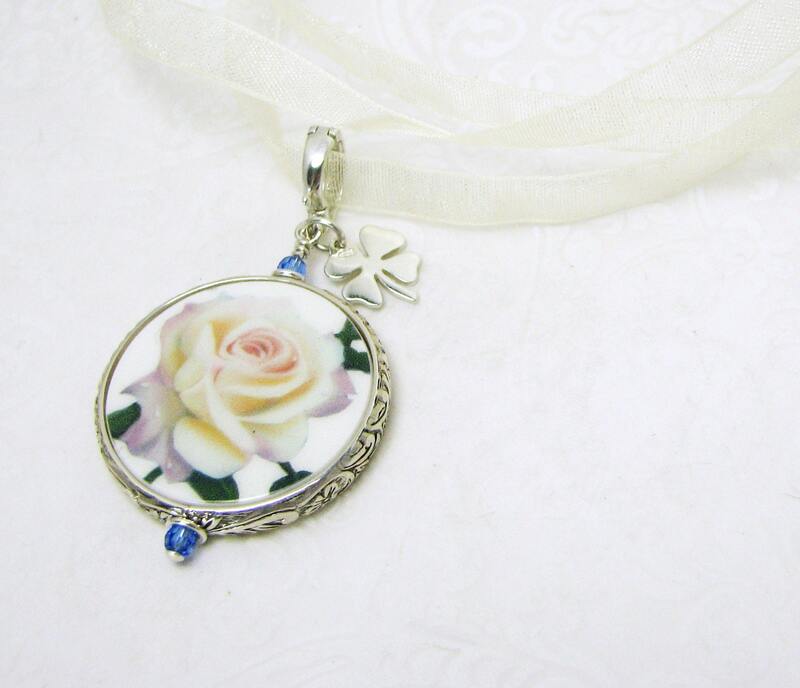 It is framed in this gorgeous sterling floral frame and it has a "Something Blue" theme with Sapphire Swarovski crystals on the top and bottom. You can have any of the colors shown above, or request another shade; I have many not shown. 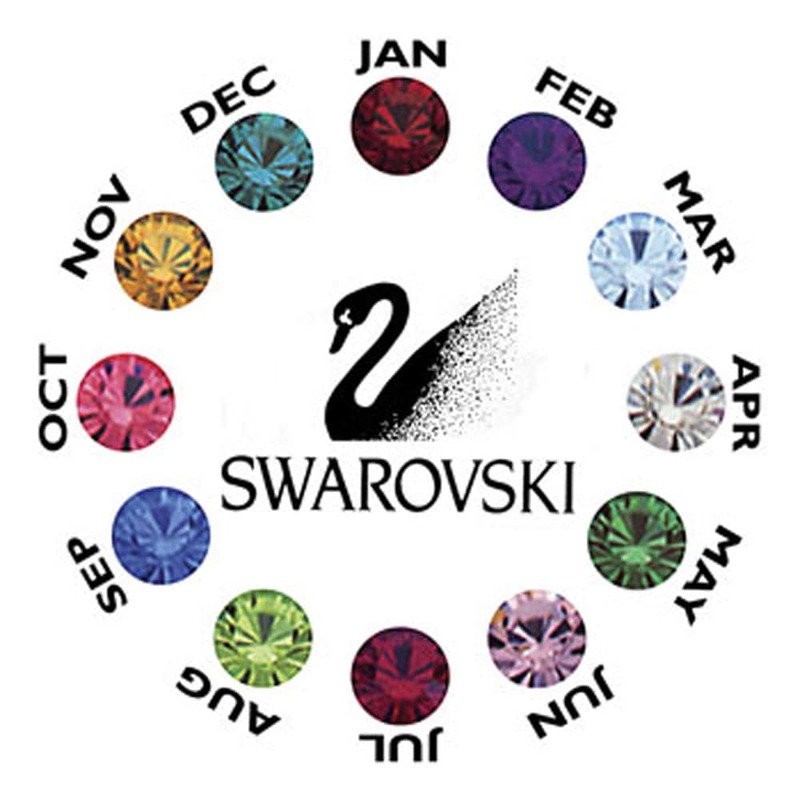 It would makes a stunning pendant after the ceremony. This charm comes with this sweet sterling 4 leaf clover, but if there is another charm that would be more appropriate for your order send me your request and I will see what I can come up with. While botanists are not entirely sure which plants are shamrocks and which are clovers, many Irish are. Irish legend claims that St. Patrick used small clover's with three leaves called shamrocks to illustrate Christianity’s holy trinity of Father, Son and Holy Ghost. Four-leaf clovers are the result of rare genetic mutations that occur in three-leaved clovers. While clovers with four leaves are considered lucky, they are not considered to be shamrocks by those familiar with and passionate about Irish tradition.